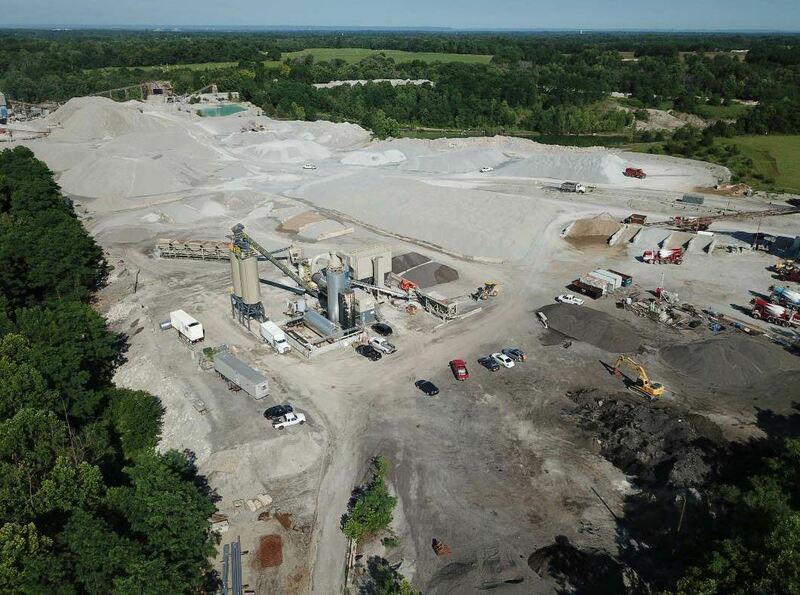 This drone-enabled photo is of the Brownsboro asphalt plant associated with Bluegrass Testing’s parent company, Louisville Paving Company. Photo courtesy Bluegrass Testing. Way back in the May 2016 issue of AsphaltPro, we discussed what was an emerging use of drone technology to document projects and gather valuable data. That technology has expanded since then with both software and small unmanned aerial systems (sUAS) developing easier methods of procuring data and more robust training for operators. Today, you can’t attend a construction-related conference without at least one presenter offering insight for the use of drone technology. In fact, at the 2018 World of Asphalt and AGG1 conference in Houston, Matthew Riggle, the operations manager for Bluegrass Testing, Louisville, and Brian Wood, the executive director of Plantmix Asphalt Industry of Kentucky (PAIKY), joined forces to share tips and tricks with the audience about their experiences and learning curves with the tech. At this time, discussion on proper storage is sparse. It’s almost time to shut down the plants and quarries around North America, and it won’t do to plop the drone and its battery onto a shelf in hopes that all will be great come April or May. To make sure this vital component in your volumetrics and data-gathering arsenal is in top shape next spring, let’s include it in a proper shutdown routine. As vertically integrated mix production sites and quarries prepare for winter shutdown, you want to capture final data for the year. A spokesperson for Stockpile Reports shared that you’re performing a final count to ensure solid data for off-season business planning. The team at Trimble, Sunnyvale, California, also spoke about end-of-season planning and efficiency when it comes to that last drone flight. “Having a clear understanding of aggregate stockpile volumes is essential for vertically integrated contractors going into a winter (or shutdown) season,” Devin Laubhan said. He’s the paving product manager for Trimble’s civil engineering and construction division. The asphalt company’s new drone is a tool for enhancing your marketing or data management points. Photo of a drone controller courtesy Stockpile Reports. You don’t have to limit yourself to a final count in December, of course. Jason Nichols, product marketing manager of Kespry, Menlo Park, California, suggested a way to keep your options open. Do a safety inspection of each of the drones in your fleet, making a list of any repairs or replacements needing to be performed. 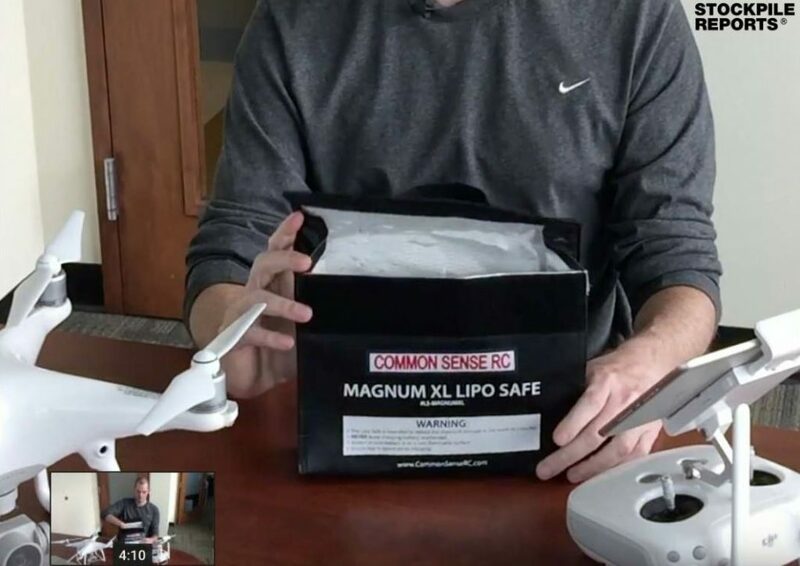 Make sure each drone’s firmware is up to date with the latest version. Make sure to discharge your batteries to between 40 to 65 percent, then store them unplugged in a fireproof container, such as a Lipo-bag, in a cool room. Once your equipment is stored, conduct a review of how your flight program went this year, considering what changes you might need to make for the coming year (eg., more frequent flights, whether to look at outsourcing some of your flights, and analyzing the ROI of the cost of your drone operations). You can store batteries safely in a Lipobag, like this one demonstrated by Stockpile Reports. For prolonged storage periods, store discharged [i.e. 2.0 to 3.0 volts per cell] and at -20 to 25oC (standard Li Ion storage standards). Storing a battery with full power or low power for a long time may lead to permanent damage. Some chargers should have a “storage” setting that will drip current and drain to 70 percent if fully charged. Set a reminder for every two to three weeks to check battery levels. Fully inspect all hardware components. On the batteries, look for no corrosion, no swelling of case or cells. On the drone itself, you want to make sure there is no damage to camera, gimbal, rotors, propellers, battery bay or other key components. Do a visual inspection of the controller to make sure there are no cracks or breaks and that the antennas are intact. Update all firmware to reflect the latest versions available. Chances are a new release has come out while the drone has been in storage. Run a test flight before an actual mission with batteries fully charged to test all hardware components. The off-season offers plenty of opportunity for workers to train and hone skills. Your sUAS education included. There’s an app for that! Several years ago, FAA released the “B4UFLY” smartphone app. Check it out at faa.gov/uas. 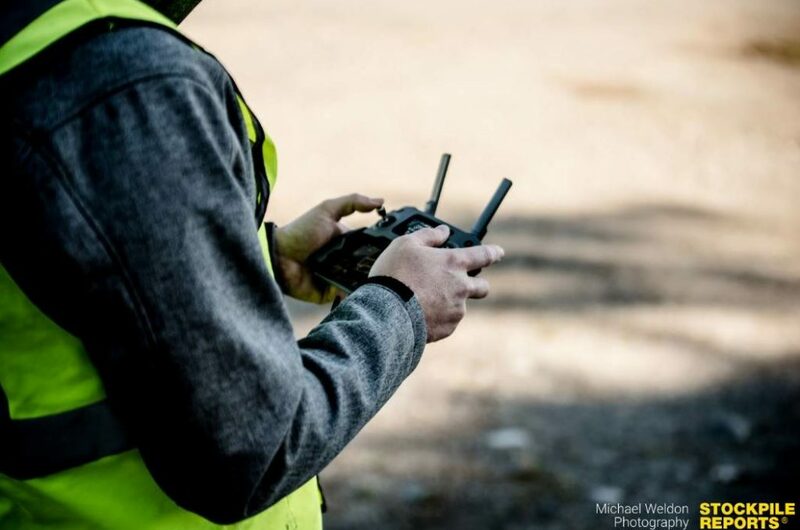 “Unless you are flying only for hobby or recreational purposes, you will need FAA authorization via a Section 333 grant of exemption to fly your unmanned aircraft system (UAS) for your business. This applies even if you are only flying to supplement or aid your business and not charging fees for doing so. For further information regarding the FAA’s interpretation of ‘hobby or recreational’ flying, please see the FAA’s Interpretation of the Special Rule for Model Aircraft” here. File for your exemption here. When filing for your 333 exemption, you will get a full education on regulations to which you must adhere when flying sUAS for commercial/business purposes. Keep in mind, common sense prevails. The asphalt company’s new drone is a tool for enhancing your marketing or data management points. Treat it as you would any other government-regulated device and you’ll steer clear of fines—and actual prison time—that would otherwise mitigate its positive effect on your business.